You have stumbled upon a website that will soon be filled with content related to anything under the sun. 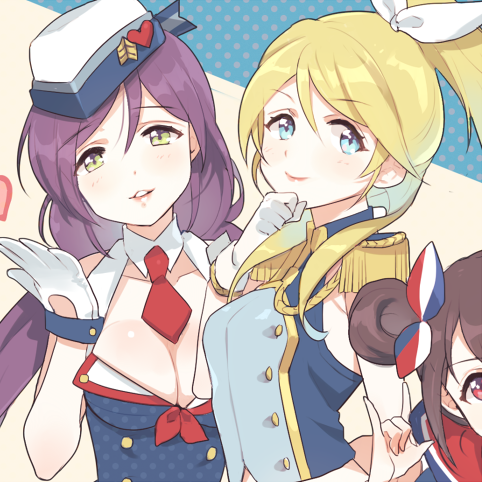 A multi-fandom blog dedicated to anime, manga, yuri, video games, musicals, toys, and so on. Join me with tons of updates and discuss on things that make us tick! Though this first post is short, I hope you get to stop by here every now and then. Now I shall leave you with one of my favorite Yuri couples at the moment: Nozomi Tojo and Ayase Eli from Love Live! No explanation needed. I just love these two. Next I’m Going to Les Miserables Manila!